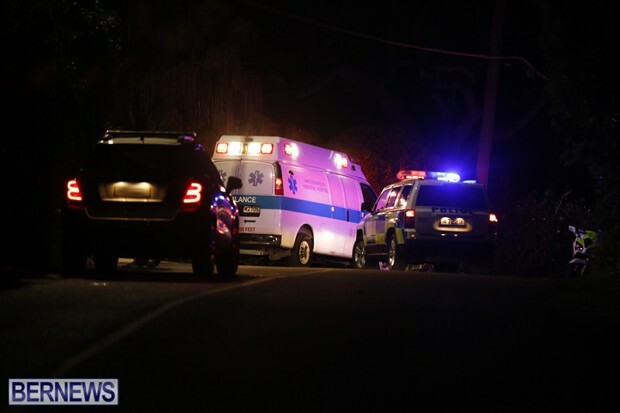 A 39-year-old man is in critical condition while another male was “arrested for suspicion of driving whilst impaired” following a collision this evening [March 1] in Hamilton Parish. 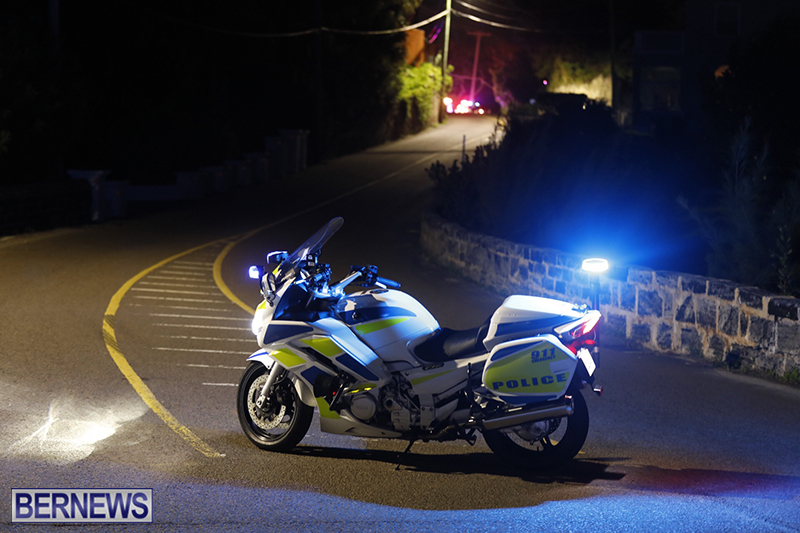 Police Media Manager Dwayne Caines said, “At 6:41pm police and first responders attended a report of a road traffic collision that took place on North Shore Road at the junction of Panorama Drive in Hamilton Parish. “It appears that two males on separate motorcycles were traveling in opposite directions on North Shore Road when the rider who was traveling west attempted overtaking a car and in the process he hit the car and subsequently collided with a motorcyclist traveling in an easterly direction. “Both males were taken to the hospital with one male sustaining non life threatening injuries. Currently, a 39-year-old man is in critical condition and the other rider, a 39-year-old male, was arrested for suspicion of driving whilst impaired. Update 9.21pm: The police said they can now “confirm the death of a 39-year-old man who died as a result of a road traffic collision that took place on North Shore Road in Hamilton Parish. “No further information will be given until the next of kin has been notified,” a police spokesperson said.